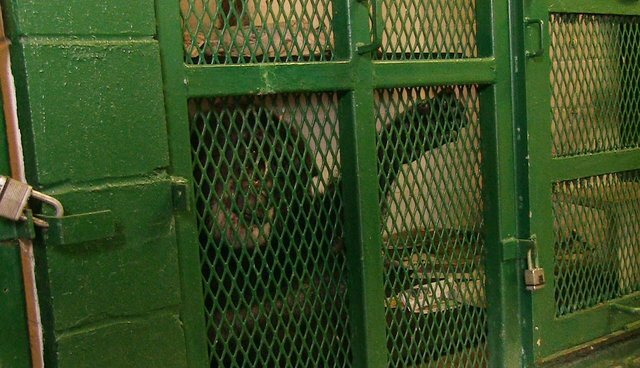 Tommy, a chimpanzee who's spent his entire life in captivity, is missing. Tommy used to live in a dark shed located at the back of an old trailer in Gloversville, New York. His cage was made of cement. He was born and raised as a baby in the U.S., and eventually fell into into the ownership of Patrick C. Lavery, who runs a business that rents and sells reindeer. In Lavery's "care," Tommy spent most of his time in a cramped, dirty cage, with just a TV left on for him on the opposite side of the shed, outside of his cage. With no other animals to keep the social chimp occupied, Tommy was alone. Seemingly, his only form of stimulation came from playing on a playground jungle gym. For years, the Nonhuman Rights Project (NhRP) has been fighting to rescue Tommy and get him to a sanctuary. His story is the topic of a new documentary, "Unlocking the Cage," which follows the historic fight of Steve Wise, president of NhRP and an animal rights lawyer, and his attempts to persuade the New York court system to grant Tommy, along with three other captive chimpanzees, legal rights as intelligent, living beings. But now, Tommy's disappeared - and no one knows what's going on. According to the New York State Department of Agriculture and Markets records, Lavery "donated" Tommy to the DeYoung Family Zoo in Wallace, Michigan, in September 2015. But when The Dodo reached out, the zoo said it wasn't familiar with any chimp named Tommy and claimed that the alleged disappearance is a publicity stunt for "Unlocking The Cage." The zoo added that all its chimpanzees are accounted for and happy. Furthermore, the zoo claimed to be unfamiliar with any chimpanzee named Tommy - and wouldn't even confirm his existence. "Tommy does not appear to be at the DeYoung Zoo and the zoo has refused to tell us, tell [a] reporter for the Daily Mail, or tell a reporter for the Dodo, where Tommy is," Wise said in a statement. "We are seeking all relevant records about Tommy from the appropriate New York, Michigan and federal agencies. We will not rest until we find him and have him sent to Save the Chimps sanctuary," he said. According to government records obtained by NhRP, Lavery "donated" Tommy to the DeYoung Family Zoo in Wallace, Michigan, in September 2015. The NhRP also has records from July 2015, when the United States Department of Agriculture (USDA) last inspected the zoo, show that one chimpanzee lived at the zoo. In a November 2015 inspection, records showed that there were two. What happened between then and now is a complete mystery. Tommy made his unexpected move to Michigan after an appeal in the case to free him was dismissed by the New York State Court of Appeals. "Prior to the court denying our appeal and ending Tommy's case, there was an injunction in place which prevented Lavery from moving Tommy out of the state, since Tommy was the subject of an ongoing lawsuit in the state," Kevin Schneider, executive director of NhRP, told The Dodo. After the case was dismissed, Lavery was free to do as he wished with the unfortunate chimp. Schneider also noted that the recent inclusion of chimpanzees in the Endangered Species Act, which now recognizes captive chimpanzees in the U.S. as "endangered" (upgrading their status from "threatened") and therefore more protected, went into effect on September. 15, 2015, just days after Tommy was shipped to Michigan. 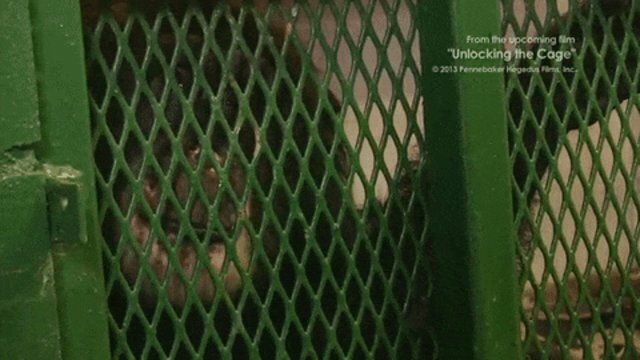 But while the legal battle continues, right now the priority is finding out what happened to the sweet chimp who became caught in the middle of it. "We are of course very concerned that Tommy died at the zoo or elsewhere," Schneider said. "We have made records requests for any death records to USDA ... If we had won legal personhood for Tommy in our case, he would arguably be considered a 'missing person' right now." You can learn more about "Unlocking the Cage" here. Want to file a formal complaint to the USDA? Learn how you can here. You can also reach out to the Michigan Department of Natural Resources here. To help chimps who were saved from situations just like Tommy's, you can make a donation to Save The Chimps, a Florida rescue, here.